Second-generation bioethanol is a promising source of renewable energy. In Brazilian mills, the production of ethanol from sugarcane (first generation, 1G) is a consolidated process performed by Saccharomyces cerevisiae and characterized by high substrate concentrations, high cell density, and cell recycle. The main bacterial contaminants in 1G fermentation tanks are lactic acid bacteria, especially bacteria from the Lactobacillus genus, which is associated with a decrease in ethanol yield and yeast cell viability, among other negative effects. Second-generation (2G) bioethanol production is characterized by the conversion of glucose and xylose into ethanol by genetically modified or non-Saccharomyces yeasts. Spathaspora passalidarum is a promising non-Saccharomyces yeast for 2G ethanol production due to its ability to effectively convert xylose into ethanol. The effect of bacterial contamination on the fermentation of this yeast is unknown; therefore, L. fermentum, a common bacterium found in Brazilian 1G processes, was studied in coculture with S. passalidarum in a fed-batch fermentation process similar to that used in 1G mills. Individually, L. fermentum I2 was able to simultaneously consume glucose and xylose in nutrient-rich broth (Man, Rogosa, and Sharpe (MRS + xylose) but failed to grow in a glucose- and xylose-based synthetic broth. 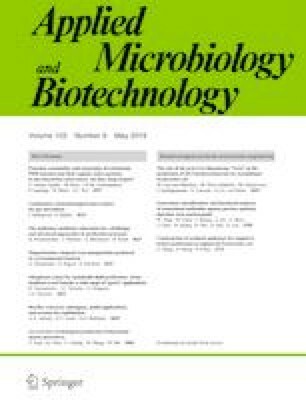 In coculture with S. passalidarum, the bacteria remained at a concentration of 108 UFC/mL throughout cell recycling, but no flocculation was observed, and it did not affect the fermentative parameters or the cellular viability of the yeast. Under both conditions, the maximum ethanol production was 21 g L−1 with volumetric productivity ranging from 0.65 to 0.70 g L−1 h−1. S. passalidarum was thus shown to be resistant to L. fermentum I2 under the conditions studied. We are grateful to the CNPEM and CTBE for assigning the structures for the realization of the experiments and for the help in HPLC analysis. The authors acknowledge the financial assistance of the FAPESP- São Paulo Research Foundation (processes no 2017/04997-0 and 2016/06142-0) and the CNPQ - National Council for Scientific and Technological Development (process no 132142/2017-1).